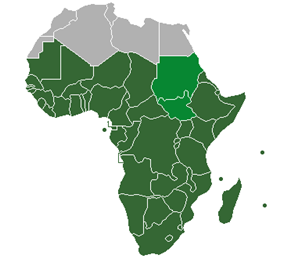 Lighter green: However, Sudan is classified as North Africa by the United Nations. 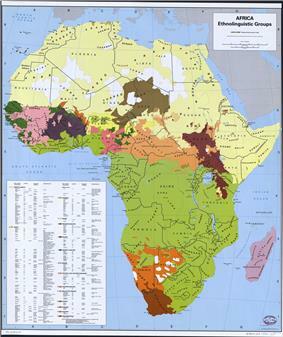 The use of the term has been criticized because it refers to the South only by cartography conventions and projects a connotation of inferiority; a vestige of colonialism, which some claim, divided Africa into European terms of homogeneity. According to paleontology, early hominid skull anatomy was similar to their close cousins, the great African forest apes, gorilla and chimpanzee, but they had adopted a bipedal locomotion and freed hands giving them a crucial advantage enabling them to live in both forested areas and on the open savanna at a time when Africa was drying up, with savanna encroaching on forested areas. This occurred 10 million to 5 million years ago. ^ "Composition of macro geographical (continental) regions, geographical sub-regions, and selected economic and other groupings". United Nations Statistics Division. 11 February 2013. 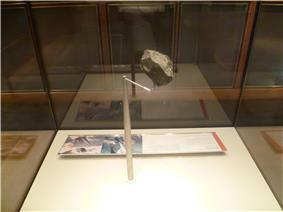 Retrieved 20 July 2013. 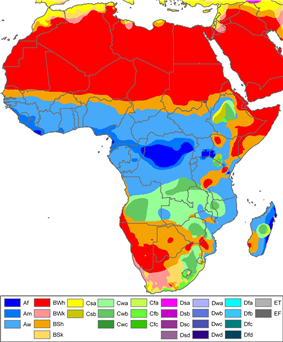 "The designation sub-Saharan Africa is commonly used to indicate all of Africa except northern Africa, with the Sudan included in sub-Saharan Africa." ^ "Political definition of "Major regions", according to the UN.". Retrieved 15 December 2010. Infosamak. "Centre for Marketing, Information and Advisory Services for Fishery Products in the Arab Region" (in Italiano). Infosamak.org. ^ Claussen, Mark; Kubatzki, Claudia; Brovkin, Victor; Ganopolski, Andrey; Hoelzmann, Philipp; Pachur, Hans-Joachim (1999). 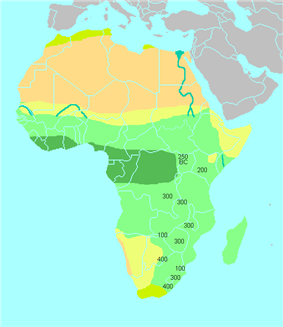 "Simulation of an Abrupt Change in Saharan Vegetation in the Mid-Holocene". Geophysical Research Letters 26 (14): 2037–2040. ^ a b c d Raunig, Walter (2005). Afrikas Horn: Akten der Ersten Internationalen Littmann-Konferenz 2. bis 5. Mai 2002 in München. Otto Harrassowitz Verlag. p. 130. ^ a b Nehemia Levtzion, Randall Lee Pouwels, The History of Islam in Africa, (Ohio University Press, 2000), p.255. ^ Sven Rubenson, The survival of Ethiopian independence, (Tsehai, 2003), p.30. ^ Jonah Blank, Mullahs on the mainframe: Islam and modernity among the Daudi Bohras, (University of Chicago Press, 2001), p.163. ^ a b Shillington, Kevin(2005). History of Africa, Rev. 2nd Ed. New York: Palgrave Macmillan, p. 2-3, ISBN 0-333-59957-8. ^ The genetic studies by Luca Cavalli-Sforza are considered pioneering in tracing the spread of modern humans from Africa. ^ Tishkoff SA, Reed FA, Friedlaender FR, et al. (May 2009). "The genetic structure and history of Africans and African Americans". Science 324 (5930): 1035–44. ^ Davidson, Basil. Africa History, Themes and Outlines, revised and expanded edition. New York: Simon and Schuster, p. 54, ISBN 0-684-82667-4. ^ J. Cameron Monroe, Akinwumi Ogundiran, Power and Landscape in Atlantic West Africa: Archeological Perspectives, p. 316, books.google.com/books?isbn=1107009391, citing Magnavita 2004; Magnavita et al. 2004, 2006; Magnavita and Schleifer 2004. ^ a b c Shillington, Kevin(2005). History of Africa, Rev. 2nd Ed. New York: Palgrave Macmillan, pp. 138,139,142, ISBN 0-333-59957-8. ^ James De Vere Allen, Swahili Origins: Swahili Culture & the Shungwaya Phenomenon (1993), books.google.com/books?isbn=0852550758. ^ Hill, John E. 2004. : A Third Century Chinese Account Composed between 239 and 265 CE.魚豢 by Yu Huan 魏略 The Peoples of the West from the Weilue at the Wayback Machine (archived March 15, 2005) Draft annotated English translation. See especially Section 15 on Zesan = Azania and notes. ^ a b Roland Oliver, et al. "Africa South of the Equator," in Africa Since 1800. Cambridge, UK: Cambridge University Press, 2005, pp. 24-25. ^ Thompson, Lloyd A. (1989). Romans and blacks. Taylor & Francis. p. 57. ^ Davidson, Basil. Africa History, Themes and Outlines, revised and expanded edition. New York: Simon and Schuster, pp. 87-107, ISBN 0-684-82667-4. ^ Zinkina J., Korotayev A. 70/2 (2014): 120–139World FuturesExplosive Population Growth in Tropical Africa: Crucial Omission in Development Forecasts (Emerging Risks and Way Out). .
^ a b c (2009). Africa Development Indicators 2008/2009: From the World Bank Africa Database AFRICAN DEVELOPMENT INDICATORS. World Bank Publications, p. 28, ISBN 0-8213-7787-6, ISBN 978-0-8213-7787-1. ^ Brown, Keith and Ogilvie, Sarah(2008). Concise encyclopedia of languages of the world Concise Encyclopedias of Language and Linguistics Series. Elsevier, p. 12, ISBN 0-08-087774-5, ISBN 978-0-08-087774-7. ^ Schneider, Edgar Werner and Kortmann, Bernd(2004). A handbook of varieties of English: a multimedia reference tool, Volume 1. Berlin: Walter de Gruyter, pp. 867-868, ISBN 3-11-017532-0, ISBN 978-3-11-017532-5. ^ Güldemann, Tom and Edward D. Elderkin (forthcoming) "On external genealogical relationships of the Khoe family". In Brenzinger, Matthias and Christa König (eds. ), Khoisan languages and linguistics: the Riezlern symposium 2003. 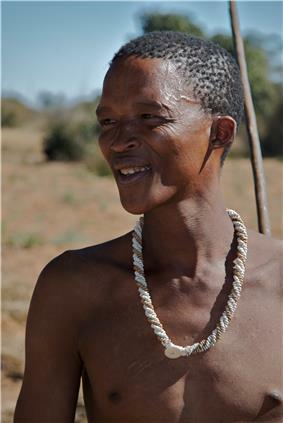 Quellen zur Khoisan-Forschung 17. Köln: Rüdiger Köppe. ^ Bellwood, Peter S.(2005). First farmers: the origins of agricultural societies. Wiley-Blackwell, p. 218, ISBN 0-631-20566-7, ISBN 978-0-631-20566-1. ^ Darfur Relief and Documentation Centre (2010). 5th Population and Housing Census in Sudan – An Incomplete Exercise. Geneva: DRDC. Retrieved 16 November 2014. ^ John A. Shoup, Ethnic Groups of Africa and the Middle East (2011), p. 333, books.google.com/books?isbn=159884363X: "The Zaghawa is one of the major divisions of the Beri peoples who live in western Sudan and eastern Chad, and their language, also called Zaghawa, belongs to the Saharan branch of the Nilo-Saharan language group." ^ a b c "Chad". CIA World Factbook. Retrieved 16 November 2014. ^ Pugliese, Jessica (2 January 2014). "Rethinking Financing for Development in Sub-Saharan Africa". ^ Hepeng, Jia. China to train developing nations in solar technologies. SciDevNet 20 August 2004. ^ Aker, Jenny C.(2008). “Can You Hear Me Now?”How Cell Phones are Transforming Markets in Sub-Saharan Africa, Center for Global Development. ^ Ghazvinian, John (2008). Untapped: The Scramble for Africa's Oil. Houghton Mifflin Harcourt, pp. 1-16, ISBN 0-15-603372-0, ISBN 978-0-15-603372-5. ^ a b Christopher Ehret, (2002). 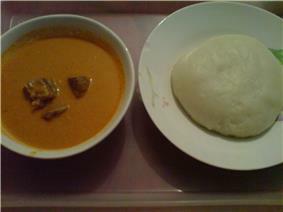 The Civilization of Africa. University of Virginia Press: Charlottesville, pp. 98 ISBN 0-8139-2085-X. ^ Vandaveer, Chelsie(2006). What was the cotton of Kush? KillerPlants.com, Plants That Change History Archive. ^ National Research Council (U.S.). Board on Science and Technology for International Development (1996). Lost Crops of Africa: Grains. National Academy Press, ISBN 0-309-04990-3, ISBN 978-0-309-04990-0. ^ Mathiason, Nick (2 November 2009). 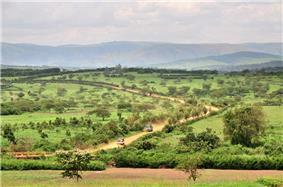 "Global protocol could limit Sub-Saharan land grab". The Guardian (London). Retrieved 9 April 2010. ^ Nordling, Linda. Africa Analysis: Progress on science spending?. ScidevNet, 29 October 2009. ^ South Africa’s Investment in Research and Development on the Rise. 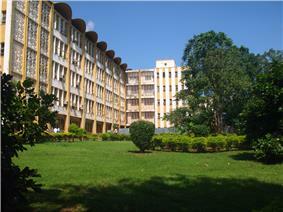 Department of Science and Technology: Science and Technology, 22 June 2006. ^ Knippenberg R, Alihonou E, Soucat A, et al. (June 1997). "Implementation of the Bamako Initiative: strategies in Benin and Guinea". The International Journal of Health Planning and Management 12 (Suppl 1): S29–47. ^ "Manageable Bamako Initiative schemes". Retrieved 28 December 2006. ^ "Desmond Tutu HIV Foundation: What we do". Desmond Tutu HIV Foundation. Retrieved 27 May 2013. ^ a b "UNAIDS Report on the Global AIDS Epidemic 2012". Retrieved 13 May 2013. ^ Verguet S, Jassat W, Hedberg C, Tollman S, Jamison DT, Hofman KJ (February 2012). "Measles control in Sub-Saharan Africa: South Africa as a case study". Vaccine 30 (9): 1594–600. ^ Emma Bonino, "A brutal custom: Join forces to banish the mutilation of women", The New York Times, 15 September 2004; Charlotte Feldman-Jacobs, "Commemorating International Day of Zero Tolerance to Female Genital Mutilation", Population Reference Bureau, February 2009. ^ Canagarajah, Sudharshan; Ye, Xiao (April 2001). Public Health and Education Spending in Ghana in 1992-98. World Bank Publication. p. 21. However, Southern Africa is predominately Christian. According to the Encyclopædia Britannica, as of mid-2002, there were 376,453,000 Christians, 329,869,000 Muslims and 98,734,000 people who practiced traditional religions in Africa. Ian S. Markham,(A World Religions Reader. Cambridge, MA: Blackwell Publishers, 1996.) is cited by Morehouse University as giving the mid-1990s figure of 278,250,800 Muslims in Africa, but still as 40.8% of the total. These numbers are estimates and remain a matter of conjecture. See Amadu Jacky Kaba. The spread of Christianity and Islam in Africa: a survey and analysis of the numbers and percentages of Christians, Muslims and those who practice indigenous religions. The Western Journal of Black Studies, Vol 29, Number 2, June 2005. Discusses the estimations of various almanacs and encyclopedium, placing Britannica's estimate as the most agreed figure. Notes the figure presented at the World Christian Encyclopedia, summarised here, as being an outlier. On rates of growth, Islam and Pentecostal Christianity are highest, see: The List: The World’s Fastest-Growing Religions, Foreign Policy, May 2007. ^ Christopher Ehret, (2002). 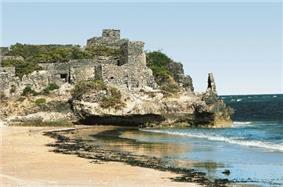 The Civilizations of Africa. Charlottesville: University of Virginia, pp. 102-103, ISBN 0-8139-2085-X. ^ Davidson, Basil(1969). The African Genius,An Introduction to African Social and Cultural History. Little Brown and Company: Boston, pp. 168-180. Library of Congress 70-80751. ^ Oldest' prehistoric art unearthed"'". BBC News. 10 January 2002. Retrieved 9 April 2010. 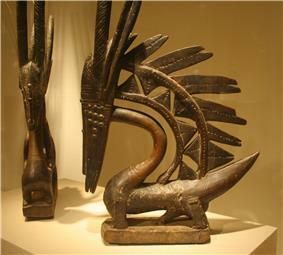 ^ , Metropolitan Museum of ArtAfrican Influences in Modern Art. ^ "European Soccer's Racism Problem". ^ "Men's outdoor world records". ^ Tucker, Ross and Dugas, Jonathan. Sport's great rivalries: Kenya vs. Ethiopia, and a one-sided battle (at least on the track), The Science of Sport, 14 July 2008. ^ Malik, Nesrine (23 November 2009). Nubian monkey' song and Arab racism"'". The Guardian (London). Retrieved 9 April 2010. ^ "Secretary-General Ban Ki-moon requested the surge in U.N. peacekeepers, saying the troops would be used to help protect tens of thousands of civilians under siege in the landlocked 2-year-old Middle Africa nation." Only seven African countries are not geopolitically a part of Sub-Saharan Africa: Arab League, Sudan has around 30% non-Arab populations in the west (Darfur, Masalit, Zaghawa), far north (Nubian) and south (Kordofan, Nuba). 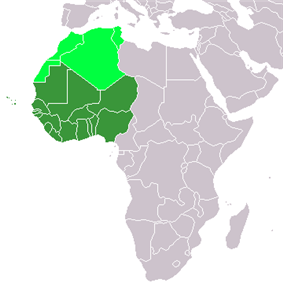 Mauritania and Niger only include a band of the Sahel along their southern borders. 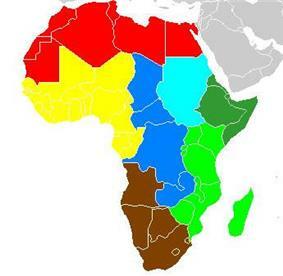 All other African countries have at least significant portions of their territory within Sub-Saharan Africa. Rugby is also popular in Sub-Saharan Africa. The Confederation of African Rugby governs rugby games in the region and Africa is allotted one qualifying place in the Rugby World Cup. 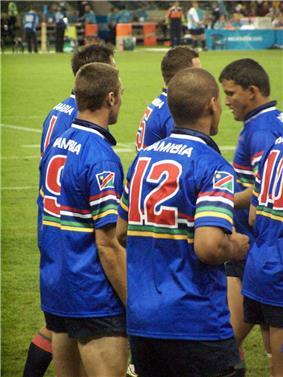 South Africa is a major force in the game and won the Rugby World Cup in 1995 and in 2007. Football (soccer) is the most popular sport in Sub-Saharan Africa. 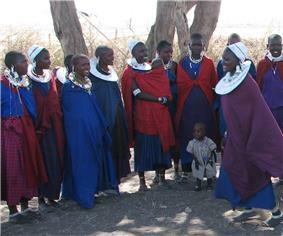 Sub-Saharan men are its main patrons. Major competitions include the Michael Essien, Didier Drogba, Kanu Nwankwo, Jay-Jay Okocha, Bruce Grobbelaar and Samuel Eto'o. The most talented Sub-Saharan African football players find themselves courted and sought after by European leagues. There are currently more than 1000 Africans playing for European clubs. Sub-Saharan Africans have found themselves the target of racism by European fans. FIFA has been trying hard to crack down on racist outburst during games. The Stade Félix Houphouët-Boigny in Abidjan, Côte d'Ivoire. In West Africa, again cotton is the material of choice. 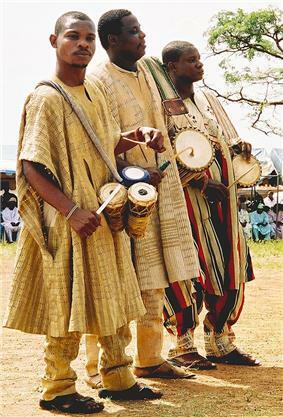 In the Sahel and other parts of West Africa the boubou and kaftan style of clothing are featured. Kente cloth is created by the Akan people of Ghana and Côte d'Ivoire, from silk of the various moth species in West Africa. 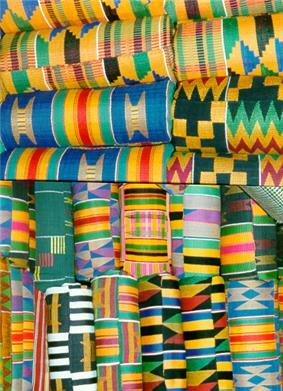 Kente comes from the The Ashanti twi word kenten which means basket. It is sometimes used to make dashiki and kufi. Adire is a type of Yoruba cloth that is starch resistant. 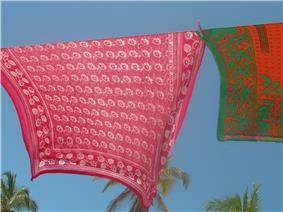 Raffia cloth and barkcloth are also utilised in the region. 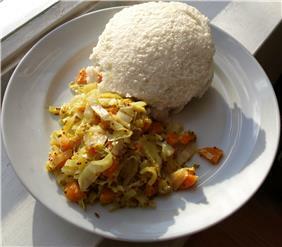 Traditional Southern African cuisine surrounds meat. 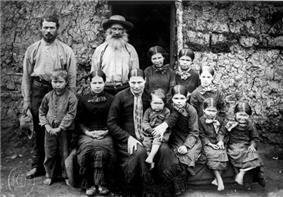 Traditional society typically focused on raising, sheep, goats, and especially cattle. Dishes include braai (barbecue meat), sadza, bogobe, biltong (dried beef strips), potjies (stews of maize, onions, tomatoes), French wines, and crueler or koeksister (sugar syrup cookie). 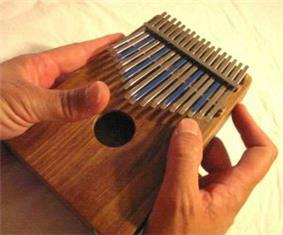 Modern Sub-Saharan African music has been influence by music from the New World (Jazz, Salsa, Rhythm and Blues etc.) vice-versa being influenced by enslaved Sub-Saharan Africans. Popular styles are Mbalax in Senegal and Gambia, Highlife in Ghana, Zoblazo in Côte d'Ivoire, Makossa in Cameroon, Soukous in the Democratic Republic of Congo, Kizomba in Angola, and Mbaqanga in South Africa. New World styles like Salsa, R&B/Rap, Reggae, and Zouk also have widespread popularity. Sub-Saharan traditional divination systems display great sophistication. For example, the bamana sand divination uses well established symbolic codes that can be reproduced using four bits or marks. A binary system of one or two marks are combined. Random outcomes are generated using a fractal recursive process. It is analogous to a digital circuit but can be reproduced on any surface with one or two marks. This system is widespread in Sub-Saharan Africa. African countries below the Sahara are largely Christian, while those above the Sahara, in North Africa, are predominantly Muslim. 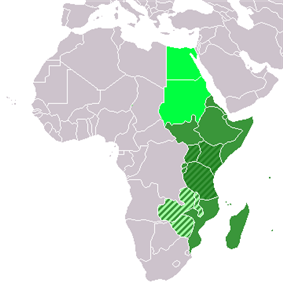 There are also Muslim majorities in parts of the Horn of Africa (Djibouti and Somalia) and in the Sahel and Sudan regions (the Gambia, Sierra Leone, Guinea, Mali, Niger and Senegal), as well as significant Muslim communities in Ethiopia and Eritrea, and on the Swahili Coast (Tanzania and Kenya). 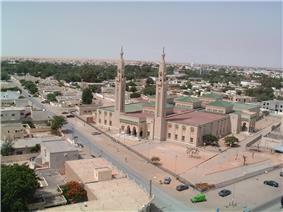 In 1987, the Bamako, the capital of Mali, and helped reshape the health policy of Sub-Saharan Africa. The new strategy dramatically increased accessibility through community-based healthcare reform, resulting in more efficient and equitable provision of services. A comprehensive approach strategy was extended to all areas of health care, with subsequent improvement in the health care indicators and improvement in health care efficiency and cost. Forty percent of African scientists live in OECD countries, predominately in Europe, the United States and Canada. This has been described as an African brain drain. Even with the drain, enrollments in Sub-Saharan African universities tripled between 1991 and 2005, expanding at an annual rate of 8.7%, which is one of the highest regional growth rates in the world. In the last 10 to 15 years interest in pursuing university level degrees abroad has increased. In some OECD countries, like the United States, Sub-Saharan Africans are the most educated immigrant group. Agriculture represents 20% to 30% of GDP and 50% of exports. In some cases, 60% to 90% of the labor force are employed in agriculture. Most agricultural activity is subsistence farming. This has made agricultural activity vulnerable to climate change and global warming. Biotechnology has been advocated to create high yield, pest and environmentally resistant crops in the hands of small farmers. The Bill and Malinda Gates foundation is a strong advocate and donor to this cause. Biotechnology and GM crops have met resistance both by natives and environmental groups. Numerous crops have been domesticated in the region and spread to other parts of the world. These crops included castor beans, coffee, cotton okra, black-eyed peas, watermelon, gourd, and pearl millet. 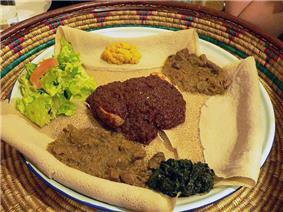 Other domesticated crops included teff, enset, African rice, yams, kola nuts, oil palm, and raffia palm. The region is a major exporter to the world of gold, uranium, chrome, vanadium, antimony, coltan, bauxite, iron ore, copper and manganese. South Africa is a major exporter of manganese as well as Chromium. About 42% of world reserves and about 75% of the world reserve base of chromium are located in South Africa. South Africa is the largest producer of platinum, with 80% of the total world's annual mine production and 88% of the world's platinum reserve. Sub-saharan Africa produces 33% of the world's bauxite with Guinea as the major supplier. Zambia is a major producer of copper. Democratic Republic of Congo is a major source of coltan. Production from Congo is very small but has 80% of proven reserves. Sub-saharan Africa is a major producer of gold, producing up to 30% of global production. 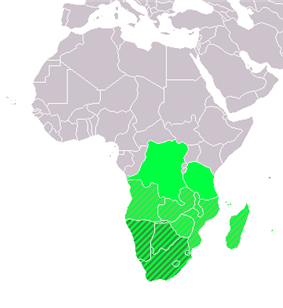 Major suppliers are South Africa, Ghana, Zimbabwe, Tanzania, Guinea, and Mali. South Africa had been first in the world in terms of gold production since 1905, but in 2007 it moved to second place, according to GFMS, the precious metals consultancy. Uranium is major commodity from the region. Significant suppliers are Niger, Namibia, and South Africa. 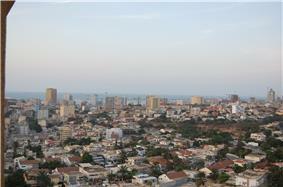 Namibia was the number one supplier from Sub-Saharan Africa in 2008. 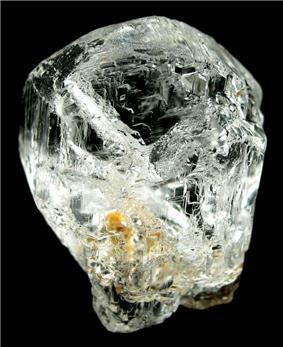 The region produces 49% of the world's diamonds. African governments are taking advantage of the readily available water resources to broaden their energy mix. Hydro Turbine Markets in Sub-Saharan Africa generated revenues of $120.0 million in 2007 and is estimated to reach $425.0 million. Asian countries, notably China, India, and Japan, are playing an active role in power projects across the African continent. The majority of these power projects are hydro-based because of China's vast experience in the construction of hydro-power projects and part of the Energy & Power Growth Partnership Services programme. Fifty percent of Africa is rural with no access to electricity. Africa generates 47 GW of electricity, less than 0.6% of the global market share. Many countries are affected by power shortages. The population of Sub-Saharan Africa was 800 million in 2007. The current growth rate is 2.3%. The UN predicts for the region a population of nearly 1.5 billion by 2050. The region has very serious overpopulation problems. In the 18th century, the Oyo and the British Empire, the foremost world power at the time. In the forest zone, several states and empires emerged. 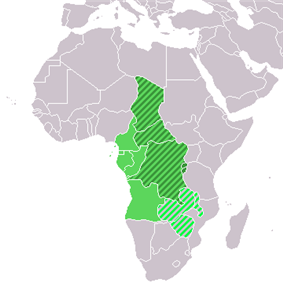 The Ashanti Empire arose in the 16th century in modern day Ghana and Côte d'Ivoire. 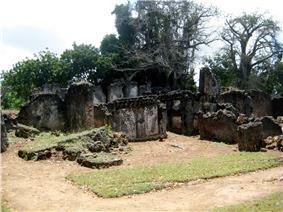 The oldest kingdom in Nigeria, the Kingdom of Nri, was established by the Igbo in the 11th century. Nri was famous for having a priest-king who wielded no military power. 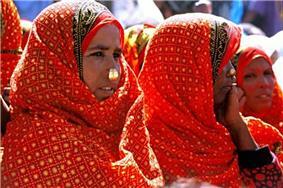 Nri was a rare African state as it never dealt in the trade of slaves. All slaves and outcasts who sought refuge in their territory were freed. 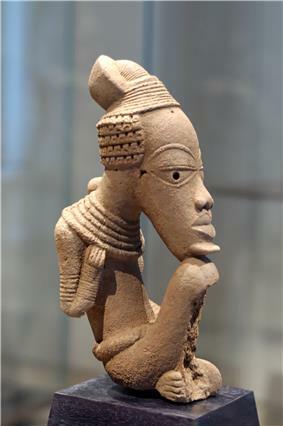 Other major states included the kingdoms of Ifẹ and Oyo in the western block of Nigeria which became prominent about 700–900 and 1400 respectively, and center of Yoruba culture. 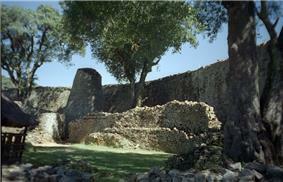 The Yoruba's built massive mud walls around their cities, the most famous being Sungbo's Eredo. Another prominent kingdom in southwestern Nigeria was the Kingdom of Benin whose power lasted between the 15th and 19th century. 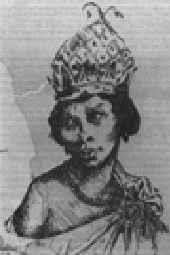 Their dominance reached as far as the well known city of Eko which was named Lagos by the Portuguese traders and other early European settlers. 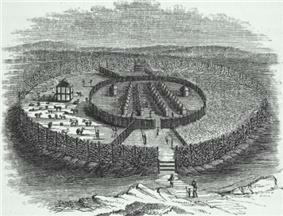 The Edo speaking people of Benin are known for the Walls of Benin, which is the largest man-made structure in the world. 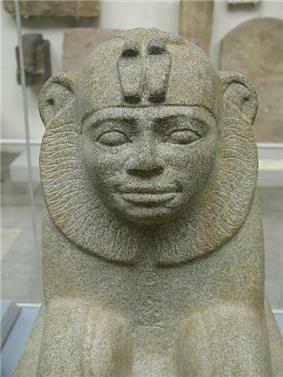 Nubia in present day Northern Sudan and Southern Egypt, was referred to as "Aethiopia" ("land of the burnt face") by the Greeks. In the Middle Ages, several powerful Somali empires dominated the regional trade including the Ajuuraan State, which excelled in hydraulic engineering and fortress building, the Sultanate of Adal, whose General Ahmed Gurey was the first African commander in history to use cannon warfare on the continent during Adal's conquest of the Ethiopian Empire, and the Geledi Sultanate, whose military dominance forced governors of the Omani empire north of the city of Lamu to pay tribute to the Somali Sultan Ahmed Yusuf. In the late 19th century after the Berlin conference had ended, European empires sailed with their armies to the Horn of Africa. The imperial armies in Somalia alarmed the Dervish leader Muhammad Abdullah Hassan, who gathered Somali soldiers from across the Horn of Africa and began one of the longest colonial resistance wars ever. 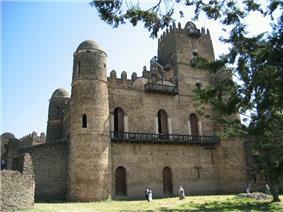 The Church of St. George at Lalibela.